In the final matchup between these two teams, the three points will be vital for both as the playoff race is getting tighter and tighter. 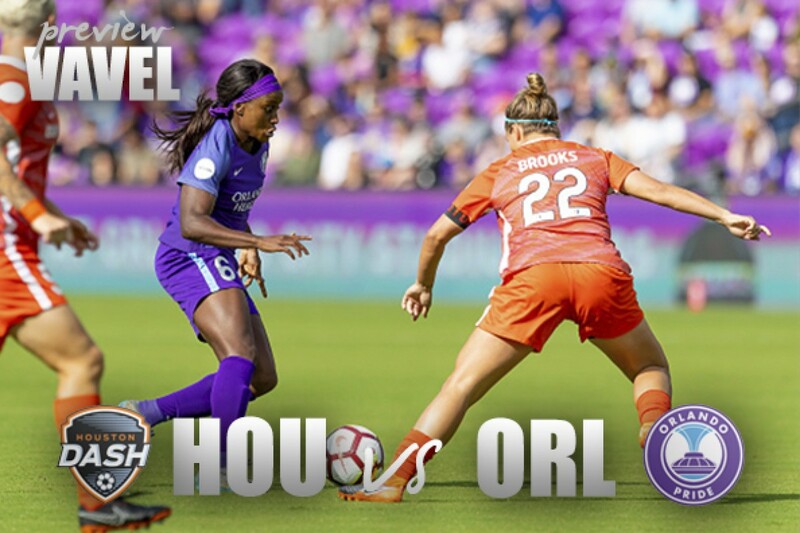 The Orlando Pride will travel to Houston for the second time to battle the Houston Dash for the third and final time this year. As the season nears the end, teams are desperate for a spot in the playoffs and neither team are giving in without a fight. At the moment, Orlando would be safe in third place with 25 points but three teams are just behind them by four points or less. Houston is currently sitting in seventh place with 17 points but as we have seen before, in the NWSL, anything is possible. Who will take the season series? As previously mentioned the two teams have met up two other times during the season. Each team have a win and a loss for the season playing one another. They first met back in April where the Pride took the first set of three points. Orlando earned their first win of the season with a 65th minute goal from Chimoa Ubogagu. They met again in a Wednesday night match-up just two weeks ago in Houston. The Pride got onto the score sheet first with an early first half goal coming from Alex Morgan. 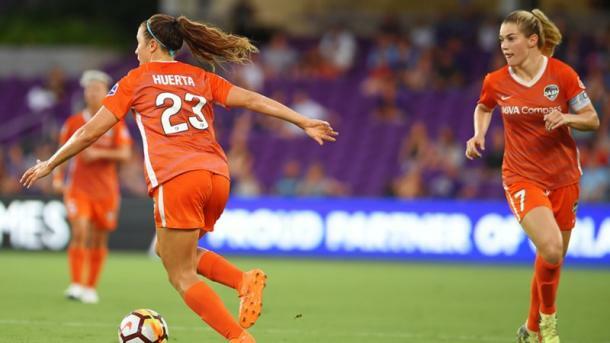 Orlando held onto the lead until the 79th minute when Kealia Ohai scored to tie the match up. Then in the 83rd minute, Sofia Huerta converted a penalty kick to give Houston the lead and the win. Besides from this season, the Pride and Dash have played each one another six times. Orlando leads the series with a total of four wins against Houston. The Pride have outscored the Dash 11-7 as well. With just eight games left, the Pride are in a very tight race to get into one of the four playoff spots. For now, the Pride are sitting in third place but every three teams on their hold ready to take their spot. Chicago Red Stars have the same amount of points as the Pride and could take third place if the Pride aren't careful. The Portland Thorns and Utah Royals FC are also just right behind them with 23 and 21 points. Orlando has the talent and resources needed to get back to the playoffs but they won't have an easy time getting their. The Pride will play each team that is currently in the playoff race at least one more time this season and getting three points in them will be vital. In their last five match-ups they have won three and lost two games. One of those losses coming from the Dash. If the Pride can get their defense sorted out they should have no problem getting to where they want with the star power they have up top. Although it may seem like the Dash have no chance of getting into the playoffs as they sit in seventh place, they aren't completely out just yet. They are eight points behind the Red Stars who sit in fourth place. The Dash have nine games left and have proven in previous seasons that they aren't out until they are really out. It will be a tough journey getting there but it is possible. In their last five matches, the Dash have a record of 2-2-1. Which may not seem like the best compared to the other teams they are competing against but Seattle Reign FC, who are currently sitting in second place also only have two wins in their last five matches. When the Dash lost Kristie Mewis to an knee injury it kind of felt like they were done but the Dash are finally starting to get things in place. It's super important for Houston to get as many points as possible and score lots of goals if they want to be in the race for a playoff spot. 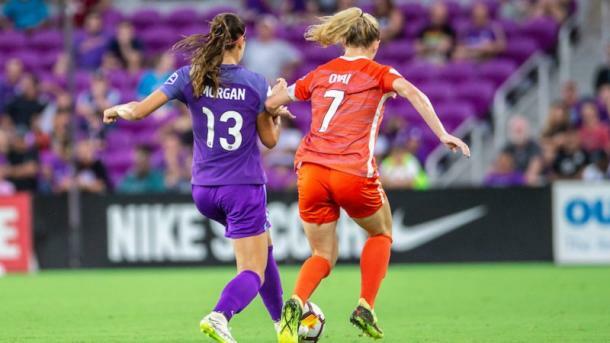 You can watch the Houston Dash and Orlando Pride battle it for one last time this season in a midweek match-up on Wednesday, July 11th at 8:30 pm ET at nwslsoccer.com.